Nothing wakes you up from your comfortable life like sitting on the front step of someone’s destroyed house in a hauntingly quiet village in the Himalayas. Scattered everywhere on the ground are pieces of people’s lives; a baby shoe covered in frost, sweaters, and chairs—so many houses were broken and abandoned. A few of us had been sent to this village, Langtang, in the mountain district of Nepal to understand the needs of the people who live high in the Himalayas. The earthquake in April 2015 especially affected this region, and it was overwhelming to see all this damage and wonder how we could possibly help. I spoke with a villager named Tshing, and she told me through a translator that she was afraid her village wouldn’t live through the winter. Having the weight of those words spoken to me was overwhelming. And even though I could get back in the helicopter and touch down in Kathmandu within 30 minutes, returning to my comfortable life, that feeling never left me. 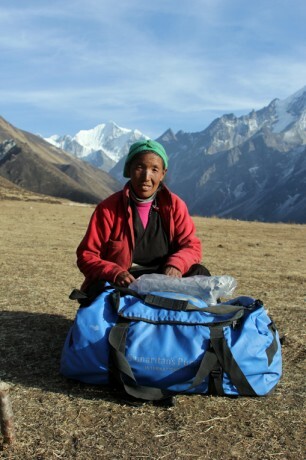 A month later, Samaritan’s Purse got approval to do a distribution of winter supplies in Langtang, but we couldn’t do it like a normal distribution. Langtang is so high in the mountains that no roads reach it; we would have to walk, carrying the supplies for the villagers on the backs of porters, yaks, mules, and horses. It was a three-day walk, but the villagers would get blankets and tarps, solar lights, kitchen supplies, sleeping mats, coats, and hats. 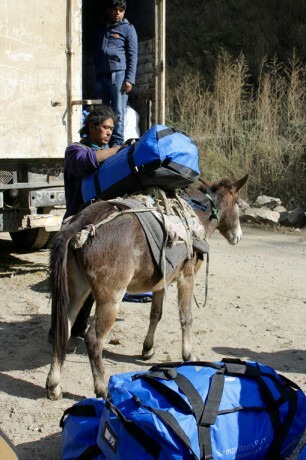 We loaded mules with two blue Samaritan’s Purse duffel bags full of supplies, and Sherpas shouldered as many as they could carry. They started off single file up the steep trail, their earflap hats disappearing one after the other. The sun was warm and the sky was clear and dusty from the trail. My purpose on the trek was to document the trip in photos and videos. 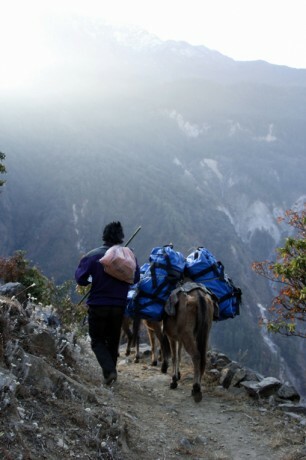 I followed behind the slow train of mules and tried to blend into the group of 12 Nepali staff members. We walked with layer after layer of blue-green foothills at our back; hazy sunsets and garlands of prayer flags strung from the trees, no matter how deep into the mountains we were. The trek to Langtang is long and slow. No cars can get to the area, and supplies won’t fit in helicopters. When we stopped for breaks, the silence broke into the chattering of a dozen Nepali conversations I couldn’t understand. We slept in a blue teahouse perched on the edge of the mountain, and Nepali women cooked us rice and lentils over a fire inside. The whole room smelled smoky, and we went to bed as early as we could. It got colder the further we went into the mountains. Breaths were harder to take as we gained elevation, but the tips of the snowy peaks behind the foothills got more visible with each mile. We began to cross an area where there had been an avalanche, massive white boulders spread across the valley. There were so many boulders that they looked like gravel, but each piece was bigger than any of us. I knew that 170 people were killed in that avalanche and that they were still finding bodies at the site. There is something chilling about being in a place where so many people died and where people still might be underneath our feet as we walked. I couldn’t think of anything else; everything was silent except for our footsteps and horse hooves. Villages began appearing on the horizon, but when we neared them, they weren’t really villages. They were rubble. They were doors standing alone in their frames, TVs and upside-down chairs and a mess of splintered wood. Sweaters and trousers lay in the dirt, and a kitchen table had no legs. There wasn’t a single roof in the whole village; everything was just split open and spilling out. It was silent and completely still. House after house, destroyed and empty, every inhabitant gone—somehow the path cut through the wreckage. When it got dark, we weren’t close to Langtang. There was a thick fog, and it was cold. We stopped for the night in a village with only 22 households left, and the villagers took us in. They led us to a one-room stone hut. My eyes adjusted to the dark and three tiny, wrinkly women were huddled over a stove in the corner of the room. 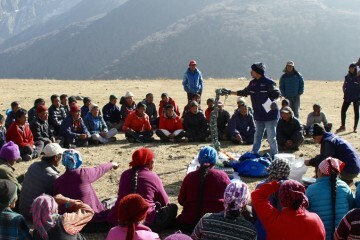 Langtang villagers wait patiently for the distribution of supplies. A man shoved a few cakes of dried yak dung into the stove to fuel it, and the oldest of the women began slicing potatoes. She looked at me, and although we couldn’t speak to one another, she smiled at me in a way that said, “I don’t know you, but you mean something to me.” All of their eyes were full of kindness, and they cooked more food for us than we could eat. Everyone stayed up late, talking in Nepali. I sat against the back wall of the dark hut and listened to a different culture exist in front of me, one that I have never been a part of and never will be. I sat for hours, holding my tin mug of black tea that a smiling lady kept re-filling and watched my breath form clouds in front of me, smelling the strange, sweet scent of yak dung burning in the tiny stove. When it was time to sleep, the old women got down on their hands and knees and made beds for us on the floor near the stove with pillows and blankets. Then they made their own beds on the floor next to ours, and we all slept in that tiny room together. I heard an elderly woman sleep-talking in Nepali somewhere in the darkness near me, and I knew that was a privilege I’d never have again. It was so humbling to be a guest in the house of strangers who had so little but were so eager to serve us. We woke up early the next morning, and the fog had lifted; we were at the feet of the highest mountains I’d ever seen. We loaded yaks and shaggy mountain horses with duffel after duffel of supplies and began walking the last leg of our trek to Langtang. Sherpas shouldered their packs, their bodies disappearing behind the mass and their flat feet steady on the path covered in rocks and rubble. A woman carries her supplies home. As the train of animals and people started moving, I ran alongside it, trying to take as many pictures as I could. I stopped for a second to watch the Samaritan’s Purse logo on the blue duffel bags being carried away on the backs of men, horses, yaks—it was amazing to see these supplies being walked through the mountains of Nepal. The people I work with are so dedicated to serving these people that they are willing to do this. There are men willing to physically shoulder this burden and carry it up mountains. When people sacrifice their bodies and risk their health to carry supplies to people who are helpless, that speaks for itself. That is Christ’s mission for us. As the caravan reached the village, supplies began piling up near the edge. Ladies dressed in vibrant pinks and oranges came wandering out of the buildings in twos and threes. They were cautious and curious but always smiling, their sun-dried faces breaking into a hundred wrinkles when we looked at them. When the rest of the village gathered, they sat cross-legged in front of us, greeting us with a chorus of “Namaste.” During the distribution, the villagers carried the weight of the blue packs using the strap of the duffel on their heads, shuffling back to their houses and disappearing one by one. I crouched in the dust with my camera, trying to capture the shy, toothy smiles they flashed at me.  One tiny old woman saw me crouching and changed her direction—she walked straight toward me, smiling with every part of her face. When she was inches away, she said “thank you” in Nepali. I had been looking for Tshing all morning, but the village was a blur of movement and headscarves. Finally I saw her; she was standing quietly with her hands pulled up under her chin, waiting. I asked a man who could speak English to ask her name. I asked if he could ask her if she had her photo taken a month ago. She nodded to him, and then turned to me and immediately took my hands in hers. My hands were shaking; I was so excited to see her again. She pressed her hands together in front of her face and said “thank you” in Nepali. I took a photo of her again, this time surrounded by the supplies we had carried to her. Soon everything was distributed and carried away into the cold, quiet houses. All of a sudden, I was in a helicopter, and the village was instantly gone. We were high in the clouds, and I couldn’t stop thinking about Tshing and the fact that I’d gotten to see her again after she had told me she was scared she wouldn’t survive. But I’d left her and her people behind, so it was bittersweet that these people had become a memory in just minutes.